Engineers and technicians at Space Launch Complex 37 move Orion into place in the service structure so the spacecraft can be lifted and joined to the top of the Delta IV Heavy rocket. please to answer because this is my project!! 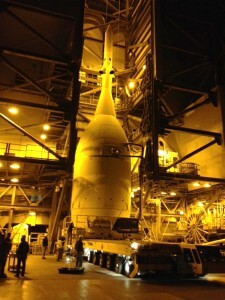 It is scheduled to launch from Cape Canaveral, jembertmendaros1, on Dec. 4. I don’t know the time. Sure aren’t showing a lot of videos on Orion. All we get is a couple sentences on what’s going on. 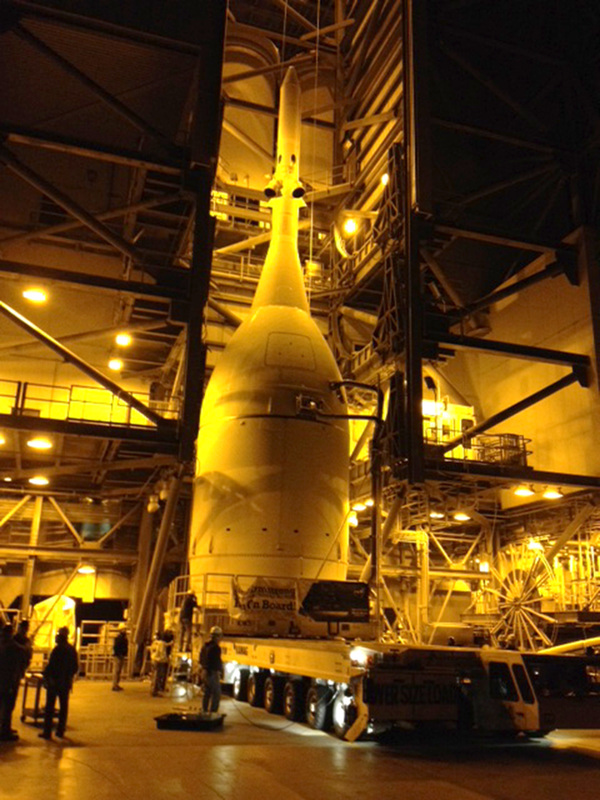 Maybe instead of all the replays on Nasa Tv you can show something new like live coverage of Orion before the launch. I agree there is a lack of coverage. It is very frustrating. Will the launch be covered or will I have to watch it on you tube after the fact?